KORPIKLAANI are currently touring in support of their latest studio album Kulkija. To celebrate, the band released a special tour edition, which includes the Beer Beer CD, featuring 14 different versions of the eponymous track. Taken from this CD is also “Bier Bier,” sung by TANKARD‘s Gerre, who even wrote the lyrics for the adaption.Watch the lyric video for the German “Beer Beer” version here. 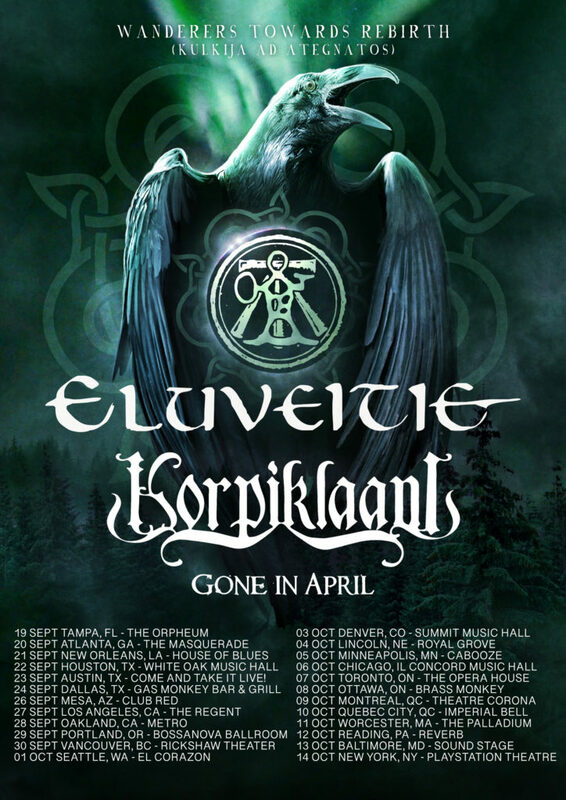 ELUVEITIE are touring in support of their latest album, Ategnatos. Today, the band revealed a new performance/lyric video for their latest single, “The Slumber,” which can be viewed here. Tickets are on sale now at http://korpiklaani.com. 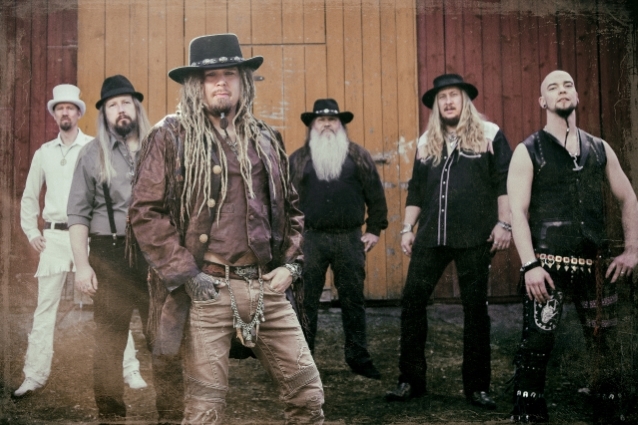 Finnish Folk Metal Superstars KORPIKLAANI released their current studio album titled Kulkija (“Wanderer”) on September 7th, 2018 through Nuclear Blast Records. They released a special tour edition, which doesn’t only include the regular songs, but also a bonus CD titled Beer Beer, which will only be available in this physical package. The aforementioned disc includes 14 versions of KORPIKLAANI’s iconic song “Beer Beer”, graced by the likes of Christopher Bowes (ALESTORM), Steve “Zetro” Souza (EXODUS), Andreas “Gerre” Geremia (TANKARD), Jesper Anastasiadis(TURISAS), TROLLFEST and many more of their friends’ bands and musicians. Born in the rural mysticism of the Swiss alps and since a very early point deeply rooted within Celtic mythology, Gaulish history and proto-European culture, ELUVEITIE have long become Folk Metal’s trailblazers, spindoctors and rightful masters of their craft. All the more because they never limited themselves to simple forays through rune-decorated cliches or foolish drinking songs. From their fabled debut Spirit (2006) onward, theirs was an approach of respect, historic accuracy, depth and the most thrilling, catchy, primordial melange of Melodic Death Metal and Pagan Folk the world could have ever imagined.